Gustavo Kuerten (Portuguese pronunciation: [ɡusˈtavu ˈkiɾtẽ]; born September 10, 1976) is a retired former World No. 1 tennis player from Brazil. He won the French Open three times (1997, 2000, and 2001), and was the Tennis Masters Cup champion in 2000, becoming the only player to defeat Pete Sampras and Andre Agassi in the same major tournament.Kuerten suffered many problems with injuries which led him to miss a number of tournaments between 2002 and 2005. 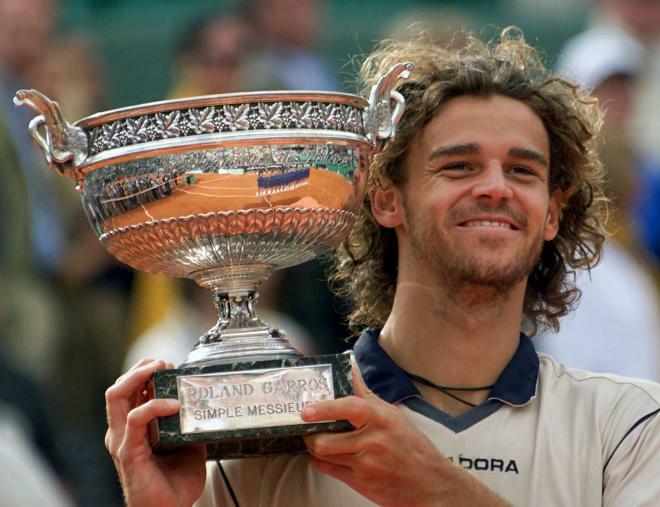 After a few failed attempts of comebacks, he retired from top-level tennis in May 2008.Kuerten is also known as "Guga" (pronounced: [ˈɡuɡɐ]), an affectionate nickname which is a common abbreviation of the name "Gustavo" in Portuguese-speaking countries. He is a polyglot who speaks fluent Portuguese, Spanish, English, and French.